Season tickets are on sale as of 10 a.m. today, and that information is below, along with a whole lot else. May I add that I’m looking forward to every single one of these? I can’t remember the last time I said that. The 2011-2012 Fairwinds Broadway Across America – Orlando subscription series is going to be a family affair in Orlando! The sensational 2011-2012 season boasts some of the hottest shows direct from Broadway including the uproariously funny new musical comedy The Addams Family, the 2010 Tony winner for Best Musical Revival La Cage aux Folles and Time Magazine’s Best Musical of the Decade Billy Elliot the Musical! The season also features timeless favorites including the triumphant return of Disney’s masterpiece The Lion King, the stunning new production of Rodgers & Hammerstein’s South Pacific and the new 25th Anniversary production of Les Misérables. Season tickets are on sale now and can be purchased at www.OrlandoBroadway.com, by calling 1.800.448.6322 (M – F, 10a.m. – 5p.m.) or in person at 100 S. Eola Drive, Suite 100, Orlando, Fla. 32801 (M – F, 10a.m. – 5p.m.). Tickets to individual shows in the 2011-2012 Season are not available for purchase at this time. All shows will be performed at the Bob Carr Performing Arts Centre. Current season ticket holders should expect their renewal packets to arrive via USPS no later than February 25. 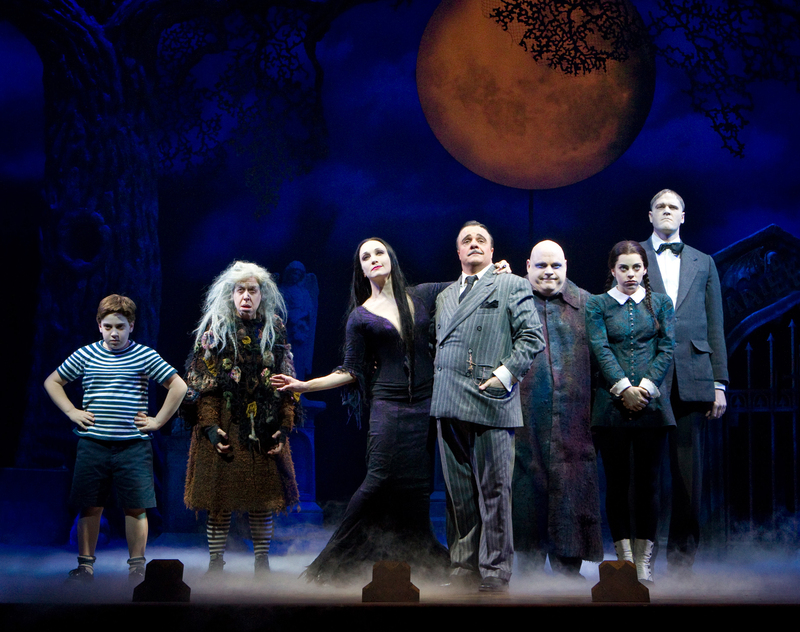 The Addams Family is a smash-hit musical comedy that brings the darkly delirious world of Gomez, Morticia, Uncle Fester, Grandma, Wednesday, Pugsley and, of course, Lurch to spooky and spectacular life. This magnificently macabre new musical comedy is created by Jersey Boys authors Marshall Brickman & Rick Elice, Drama Desk-winning composer/lyricist Andrew Lippa (The Wild Party), choreographer Sergio Trujillo (Jersey Boys) and Olivier Award-winning director/designers Phelim McDermott & Julian Crouch (Shockheaded Peter) with creative consultation by four-time Tony Award winner Jerry Zaks. Come meet the family. We’ll leave the lights off for you. The Addams Family will creep into town November 1-6, 2011. The breathtaking new production of Rodgers & Hammerstein’s South Pacific is based on the 2008 Tony Award-winning Lincoln Center Theater production, directed by Bartlett Sher. Based on James Michener’s Pulitzer Prize winning book Tales of the South Pacific, Rodgers & Hammerstein’s South Pacific has music by Richard Rodgers, lyrics by Oscar Hammerstein II and a book by Oscar Hammerstein II and Joshua Logan. Set on a tropical island during World War II, the musical tells the sweeping romantic story of two couples — US Navy nurse Nellie Forbush and French plantation owner Emile de Becque and Navy Airman Joe Cable and a young local native girl Liat — and how their happiness is threatened by the realities of war and by their own prejudices. Considered by many the finest musical ever written, the score’s songs include such classics as “Some Enchanted Evening,” “I’m Gonna Wash That Man Right Outa My Hair,” “Younger Than Springtime,” “Bali Ha’i,” “There is Nothin’ Like A Dame,” “This Nearly Was Mine” and “A Wonderful Guy.” South Pacific will soar into Orlando December 6-11, 2011. Cameron Mackintosh presents a brand new 25th anniversary production of Boublil & Schönberg’s legendary musical, Les Misérables, with glorious new staging and dazzlingly reimagined scenery inspired by the paintings of Victor Hugo. This new production has been acclaimed by critics, fans and new audiences and is breaking box office records wherever it goes. The New York Times calls this Les Misérables “an unquestionably spectacular production from start to finish.” The London Times hails the new show “a five star hit, astonishingly powerful.” The Star-Ledger says “a dynamically re-imagined hit. This Les Misérables has improved with age” and NY1-TV proclaims “this new production actually exceeds the original. The storytelling is clearer, the perspective grittier and the motivations more honest. 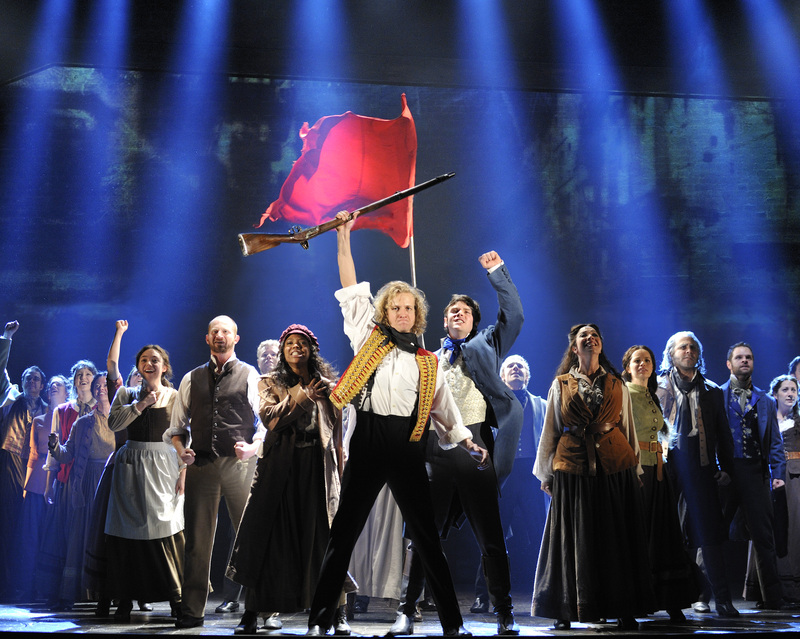 Musical theatre fans can rejoice: Les Miz is born again.” Les Misérables will inspire Orlando audiences once again January 17-22, 2012. 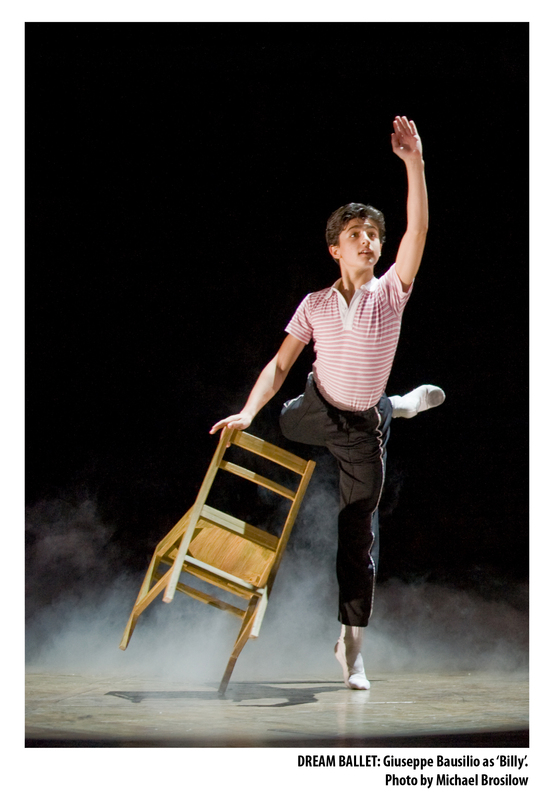 Billy Elliot the Musical is the joyous celebration of one boy’s journey to make his dreams come true. Set in a small town, the story follows Billy as he stumbles out of the boxing ring and into a ballet class, discovering a surprising passion that inspires his family and his whole community. A big musical with an even bigger heart, Billy Elliot the Musical will enchant the dreamer in everyone. Based on the international smash-hit film, Billy Elliot the Musical is brought to life by a phenomenal cast of 45 and the Tony Award-winning creative team featuring director Stephen Daldry, choreographer Peter Darling and writer Lee Hall, along with music legend Elton John, who has written what the New York Post calls “his best score yet!” Billy Elliot the Musical will dance its way into Orlando’s heart February 15-26, 2012. The most eagerly awaited return, Disney’s The Lion King, once again leap onto the stage for the show’s triumphant return to Orlando. Visually stunning, technically astounding and with a musical score like none other ever heard. Giraffes strut, birds swoop, gazelles leap, and as the entire savannah comes to life, the music soars and Pride Rock slowly emerges from the mist. The Lion King is the Tony Award-winning Broadway sensation that Newsweek calls “a landmark event in entertainment.” The New York Times says, “There is simply nothing else like it.” Patrons will marvel at the breathtaking spectacle of animals brought to life by a cast of more than 40 actors and wonder at the inspiration of award-winning director Julie Taymor, who created visual images for this show that will be remembered forever. 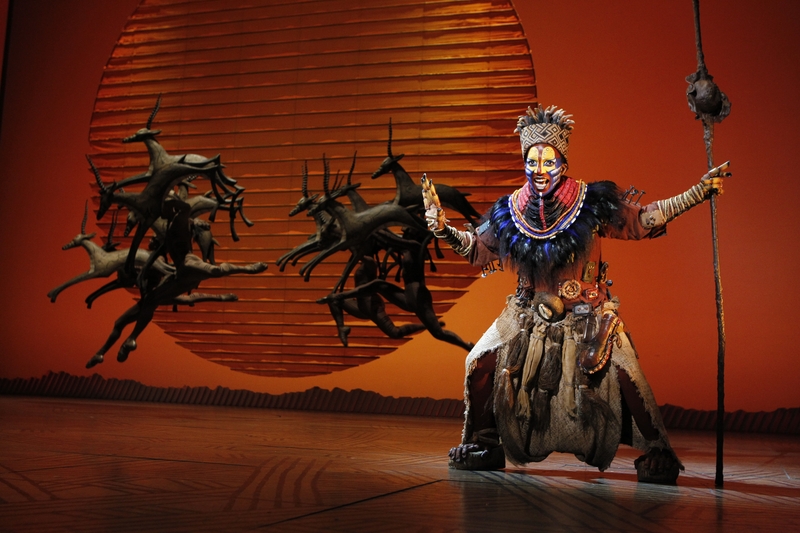 The pulsating rhythms of the African Pridelands feature an unforgettable score, including Elton John and Tim Rice’s Oscar-winning song “Can You Feel the Love Tonight” and “Circle of Life.” The Lion King roars into Orlando April 17-May 13, 2012. Winner of three Tony Awards including the award for Best Musical Revival, this hilarious new production of La Cage aux Folles was the biggest hit of the 2010 Broadway season, leaving audiences in stitches night after night! La Cage tells the story of Georges, the owner of a glitzy nightclub in lovely Saint-Tropez, and his partner Albin, who moonlights as the glamorous chanteuse Zaza. When Georges’ son brings his fiancée’s conservative parents home to meet the flashy pair, the bonds of family are put to the test as the feather boas fly! La Cage is a tuneful and touching tale of one family’s struggle to stay together, stay fabulous, and above all else, stay true to themselves! La Cage aux Folles will grace the Orlando stage June 5-10, 2012. For more information on the 2011 – 2012 Season, or to order online, log onto www.OrlandoBroadway.com. Fairwinds Broadway Across America – Orlando is presented by Florida Theatrical Association, a non-profit civic organization with a volunteer board of trustees established to ensure the continued presentation of quality touring Broadway productions and the promotion of arts education throughout the state of Florida. Fairwinds Broadway Across America – Orlando is given promotional support by WKMG Local 6. For more information, visit www.FloridaTheatrical.org. Broadway Across America is owned and operated by British theatre producer John Gore (CEO) and entertainment industry veteran Thomas B. McGrath (Chairman). Broadway Across America presents first-class touring Broadway musicals and plays, family productions and other live events throughout a network of 43 North American cities. Broadway Across America is also dedicated to the development and production of new and diverse live theatre for productions on Broadway, across America and throughout the world. Broadway Across America most recently produced the Broadway productions of Hair, West Side Story and Irving Berlin’s White Christmas. Upcoming productions include Minsky’s, Promises, Promises, Million Dollar Quartet and the West End production of Breakfast at Tiffany’s. Touring productions include Nickelodeon’s Storytime Adventures featuring Dora the Explorer and Dreamgirls. For more information or to purchase tickets through an authorized agent go to BroadwayAcrossAmerica.com. 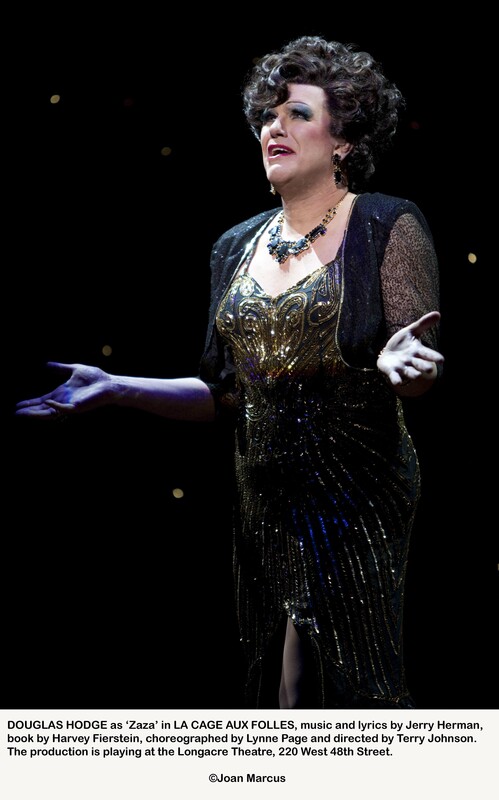 This entry was posted in 2011-2012 seasons, Broadway, Tony Awards, Tours, Uncategorized and tagged Billy Elliot the Musical, Bob Carr Performing Arts Centre, broadway across america, Broadway theatre, Florida Theatrical Association, la cage aux folles, Les Misérables, Richard Rodgers, south pacific, The Addams Family, The Lion King, Tony Award. Bookmark the permalink. 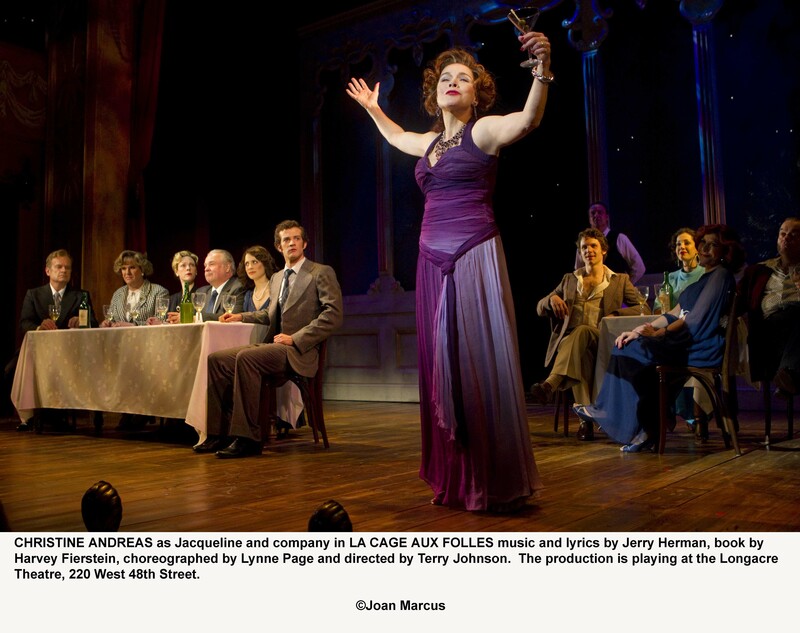 La Cage aux Folles is here during GayDays! Someone has an eye for marketing!